The UK team arrived in India a few days ago amid concerns over corruption, health and security at this year’s Commonwealth Games in New Delhi . The opening event in the Jawaharlal Nehru Stadium on Sunday was an indomitable showcase of Indian talent, technology and culture with over 6000 performers. This is the most expensive Commonwealth Games to date costing nearly $6 billion. Some would say this was money squandered in a country where the average wage of a worker is a fraction of that in the UK. Others would argue that it demonstrates a show of economic might by an emerging financial super power. 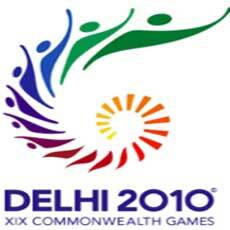 The Games were opened by Prince Charles and Indian President Pratibha Patil. Approximately 100,000 police and paramilitary troops were out in force to make the ceremony was trouble free. Suresh Kalmadi in charge of the Delhi Organising committee who took to the stage during the opening ceremony made it clear that these games will be a success, and continue to put India on the map. There are 71 nations and 4,300 athletes competing over the 11 days, in 17 sports across 12 venues. At the start of Day Two India had won 6 medals, Wales 9, and England 13.